BISMARCK, N.D. (AP) -- Oil drillers targeting the rich Bakken shale formation in western North Dakota and eastern Montana have produced 1 billion barrels of crude, data from the two states show. "It's been quite a revelation that's happened there," Continental Chairman Harold Hamm told The Associated Press. "It's right in line with expectations." "This is tight rock and it's quite a job to wring barrels out of it," he said. Experts had known for decades that the Bakken held millions of barrels of crude, but it wasn't until oil prices reached record levels that the technology was developed to the point of being able to exploit the formation. Unlocking the once-perplexing formation has propelled North Dakota from the nation's ninth-largest oil producer in 2006 to No. 2, behind Texas. The Bakken and the Three Forks formation directly below it account for about 94 percent of North Dakota's current oil production, which is nearing 1 million barrels a day, said Alison Ritter, a North Dakota Department of Mineral Resources spokeswoman. Three Forks production is counted toward Bakken production. Ron Ness, president of the North Dakota Petroleum Council, said the milestone of a billion barrels of oil is less important than the Bakken's economic impact on the region. "Barrels are just barrels," said Ness, whose group represents more than 500 companies working in North Dakota's oil patch. "It's that long-term investment that's important. 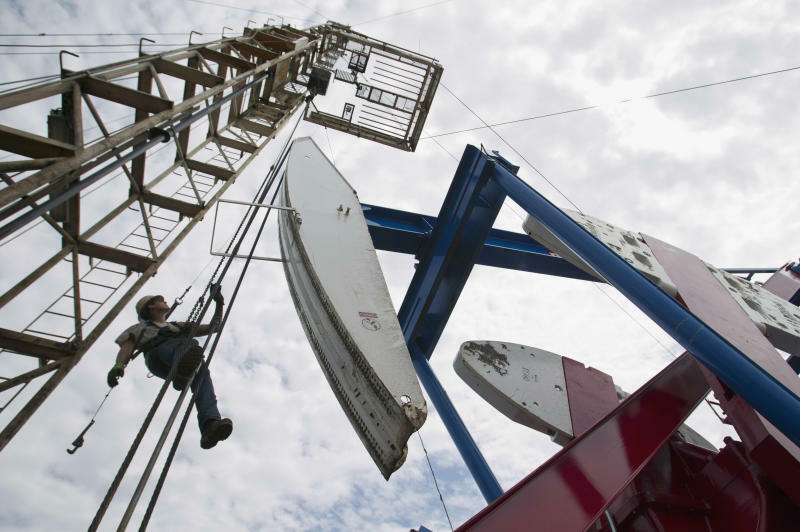 The Bakken has been a huge asset to the state, the region and the nation." That technique, known as hydraulic fracturing or fracking, has been blamed for endangering water quality in some states. North Dakota regulators say the state's water sources are protected by thousands of feet of geologic formations atop fracturing operations.